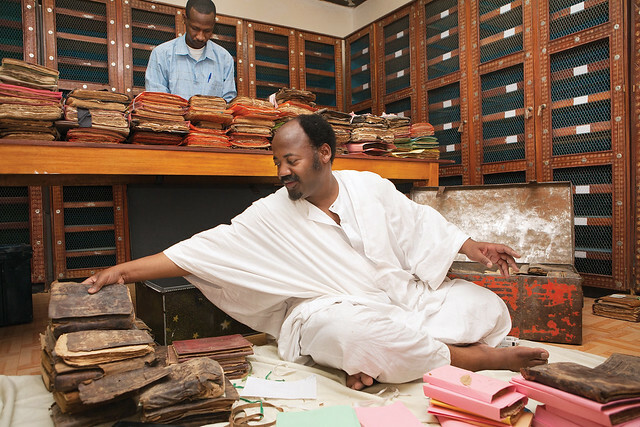 On Friday morning, January 25, 2013, 15 jihadis entered the restoration and conservation rooms on the ground floor of the Ahmed Baba Institute in Sankoré, a government library in Mali. The men swept 4,202 manuscripts off lab tables and shelves and carried them into the tiled courtyard. They doused the manuscripts—including 14th- and 15th-century works of physics, chemistry, and mathematics, their fragile pages covered with algebraic formulas, charts of the heavens, and molecular diagrams—in gasoline. Then they tossed in a lit match. The brittle pages and their dry leather covers ignited in a flash. In minutes, the work of Timbuktu’s greatest savants and scientists, preserved for centuries, hidden from the 19th-century jihadis and French conquerors, survivors of floods, bacteria, water, and insects, were consumed by the inferno. As we check it out, we might wish a spectacularly happy birthday to Phineas Taylor (“P.T.”) Barnum; he was born on this date in 1810. 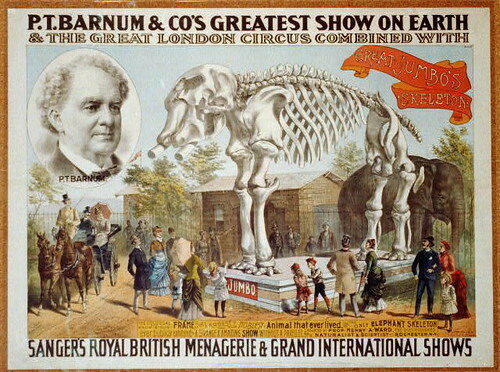 Barnum founded and ran a small business, then a weekly newspaper in his native Connecticut before leaving for New York City and the entertainment business. He parlayed a variety troop and a “curiosities” museum (featuring the ‘”Feejee” mermaid’ and “General Tom Thumb”) into a fortune… which he lost in a series of legal setbacks. He replenished his stores by touring as a temperance speaker, then served as a Connecticut State legislator and as Mayor of Bridgeport (a role in which he introduced gas lighting and founded the Bridgeport hospital)… It wasn’t until after his 60th birthday that he turned to endeavor for which he’s best remembered– the circus.